EDINBORO, Pa. – Take your taste buds on a tour of Goodell Gardens on Saturday, July 14, when Goodell Gardens & Homestead will host Botanical Beverages, Taste the Trees, a craft cocktail fundraising party. This is the fourth year Edinboro’s public garden and arboretum will host the event, which pairs locally-distilled spirits with plants in their Gardens to create beautiful, unique, botanically-themed cocktails. Cocktails will be made with spirits from Edinboro Distillery Cart/Horse Distilling, and will be catered by Cali’s West (Calamari’s). Erie-area band Bootlegger’s Bible Club will entertain guests, who will also be invited to play lawn games in the Gardens. According to Goodell Gardens Executive Director Amber Wellington, the inspiration all started with the book, The Drunken Botanist by author Amy Stewart. “In the fall of 2014, I purchased a copy of The Drunken Botanist after listening to an interview with Amy Stewart,” Wellington said. “As I was reading, I kept noticing plants that we have at Goodell Gardens!” Wellington said that she couldn’t stop thinking about that list of plants, so she pitched the idea of an event where people could “drink” the plants at Goodell Gardens. Since 2015, Botanical Beverages has been a magical evening during which guests can taste plants in the gardens, learn about how they’re used in cocktails, and enjoy the beauty of the Gardens at twilight. This year’s event features large trees growing in the Gardens. “Our bar themes this year are Oak, Birch and Maple,” Wellington said. “We’re re-visiting some of our favorite cocktails from the first Botanical Beverages – some with a twist.” Wellington added that even designated drivers will have a chance to taste the trees, as the bartenders and event coordinators are putting a lot of thought into non-alcoholic “mocktails.” “We're so excited to bring this event back for round four! It’s a great night to support local music, local drinks, and a great cause,” Wellington said. 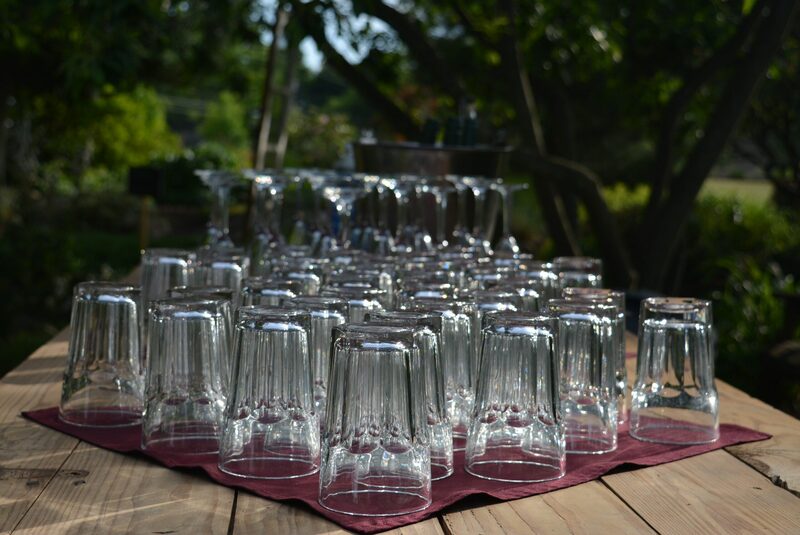 Botanical Beverages, Taste the Trees, will be held Saturday, July 14from 7-10 p.m. Tickets are $40 for members of Goodell Gardens ($20 designated driver), and $50 for non-members ( $25 for designated drivers). Goodell is offering a membership package deal for this event: two tickets and a Household-level membership (a $50 value) for just $120. Tickets are available to folks 21 and older and must be purchased in advance, no later than July 10. Proceeds from Botanical Beverages will support future tree plantings at Goodell Gardens. For more information, or to buy tickets, visit www.bit.ly/botbevs , or call (814) 734-6699. Goodell Gardens is located at 221 Waterford St., Route 6N, just east of downtown Edinboro. ABOUT GOODELL GARDENS & HOMESTEAD Goodell Gardens & Homestead is a non-profit organization whose purpose is to create an education-oriented botanical garden and arboretum on the 78-acre Goodell family farm within the borough of Edinboro, Pennsylvania by emulating the Goodell family passion for gardening and horticulture. Memberships start at just $30 per year. For more information, visit goodellgardens.org.